Arsenal manager Unai Emery, paid his particular tribute to Petr Cech after he announced that this season would be his last as a professional. 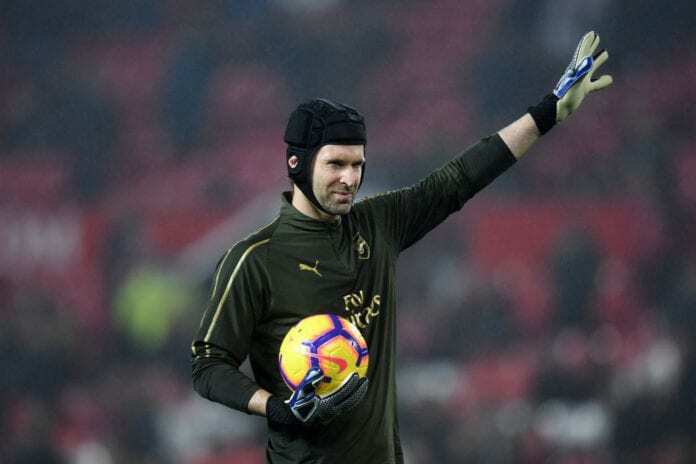 Legendary goalkeeper Petr Cech announced this week that he is hanging up his boots after an incredible 20-year career, Spanish manager Unai Emery wanted to pay his very particular tribute to the Czech goalkeeper as he expects that everybody gives him the farewell he deserves. The best years of Petr’s career obviously came at Chelsea, where he won literally everything that any player could dream of at club level and he became one of the best players in Premier League history. There is actually a general conversation in which Cech’s name is mentioned alongside legends such as Peter Schmeichel, David Seaman, Edwin van der Sar, and David de Gea. In many of those debates, the Czech Republic goalie is already considered as the very best that English football every had and his retirement actually shocked people like Seaman himself because it will happen when Petr is only 36-years old. Just to put things in perspective, great goalkeepers in football history usually retire at a much older age because they don’t risk their legs as much as the pitch players. The best examples of this tendency are Italian legends Dino Zoff and Gianluigi Buffon, who played at the highest level until a very advanced age. But for some reason, Cech believes that the time has come and everybody should respect his wishes because we really are talking about one of the all-time greats not only in England, but anywhere in the world. Now that he is playing his last matches for Arsenal, manager Unai Emery revealed that he wants to make sure that Petr gets the farewell he deserves and he obviously will do everything in his power to make that happen. “First, he is a very big person. A person I’ve only known for six months, a person who is closer to more people [other] than me,” said Emery as quoted by Four Four Two. We do have to say that Cech’s decision was pretty unexpected, mostly because we still think that he has a lot more to give to this beautiful sport and there appears to be no turning back for him anymore. During his time at Chelsea, there was a sense that the man was a bit disrespected by the Blues’ owners when they decided to sell him in order to give Thibaut Courtois the position in the squad. Cech could’ve easily remained with the Blues for the rest of his career, nobody ever questions that he at least earned the chance to decide the way in which he wanted to retire. This announcement comes in a very timely manner, as Arsenal is about to face Chelsea in the Premier League next weekend and we can already picture how emotional this moment will be for the legend. Playing against the club he adores on the same week he announced one of the most difficult decisions he’s ever made, must be something truly difficult but we are sure all the Blues’ players will pay Petr the respects that he deserves. “I don’t know now. It’s a question to do with the club and with the player. When he played at the start of the season he started very well, with very good behaviour, commitment and also performance." What is your take on Petr Cech’s decision to hang up his boots by the end of the season? Please share your opinion in the comment section down below.